First apply mix on the regrowth area. Use 30 Vol developer. 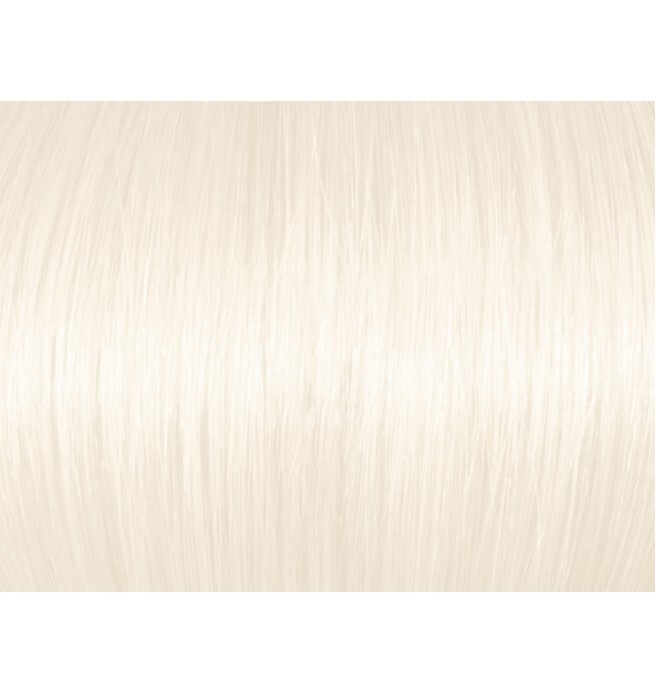 While applying, don't forget to taper the product mix onto the white lengths to avoid a visible line of demarcation. Watch carefully until the regrowth area has been lifted correctly. 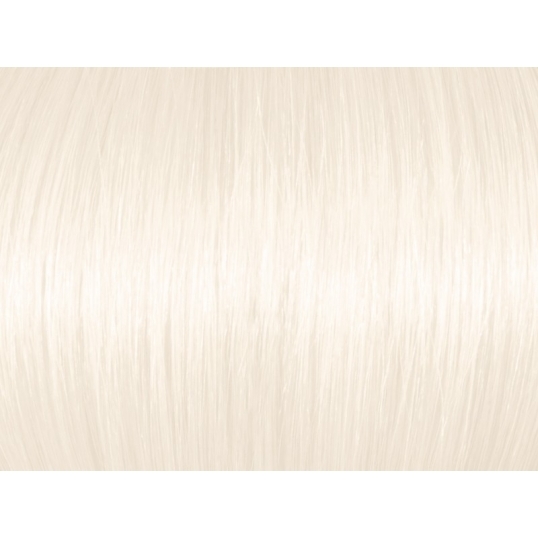 It should be as light as the lengths. Process as long as necessary until you achieve this. Then rinse. Now make a fresh mix and apply to the whole head, to equalise and tone. Then, make a fresh mix and apply on the entire lengths. 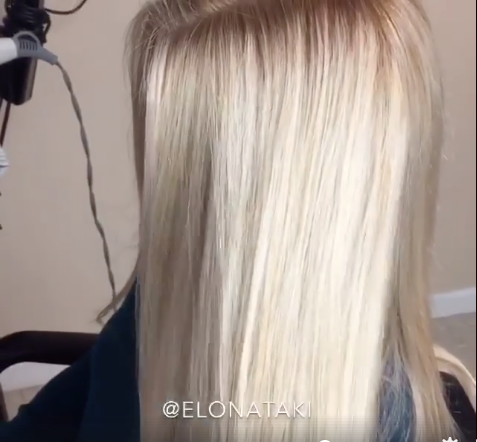 100.11 Used to do Highlights on Virgin Dark Hair Using 40 Vol Developer. 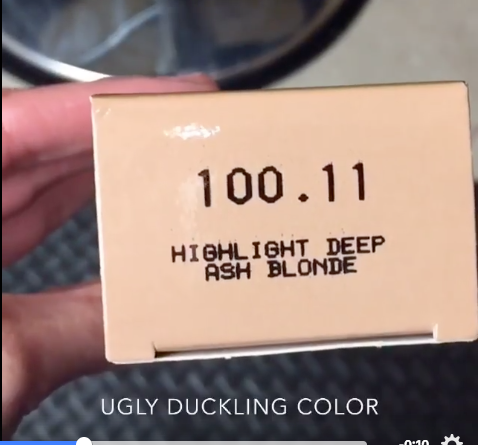 High Lift Deep Ash Blonde 100.11 is an ultra ashy high lift blonding product. 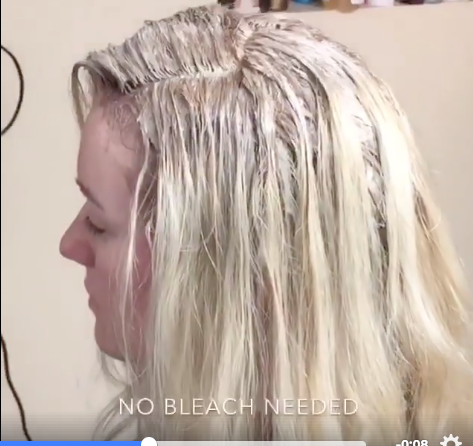 It allows up to 5 levels of lift without bleach. 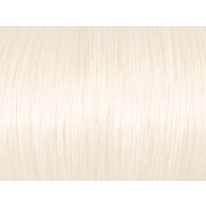 High Lift Deep Ash Blonde 100.11 is an ultra ashy high lift blonding product.